It looks like a successor to the BlackBerry KEYone is a sure thing judging by the flow of leaks regarding a new BlackBerry-branded smartphone. 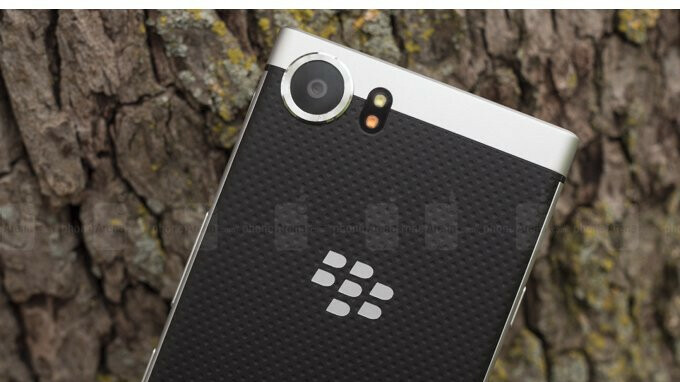 Although the name of the device remains a mystery until it's officially revealed, rumor has it TCL has decided to call it BlackBerry KEY2. 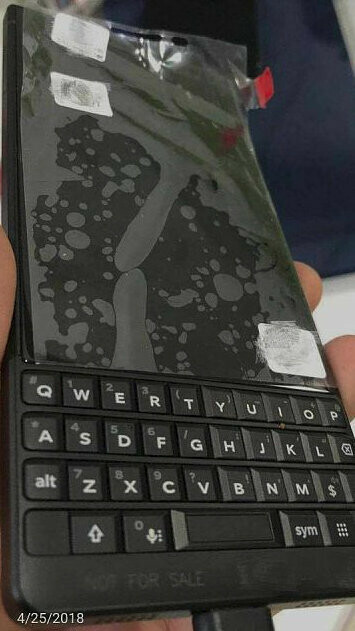 Furthermore, a live picture of the KEY2 leaked online last month showing the same square-shaped design and the full QWERTY keyboard. Well, it appears that the phone has been given a model number – BBF100-6, and listed at Wi-Fi Alliance and Bluetooth SIG. The two regulatory agencies provide new devices with the required certifications and it looks like the KEY2 received both of them, which puts it one step closer to launch. BlackBerry KEY2 is likely to belong to the mid- to high tier and should be powered by a Qualcomm Snapdragon 660 processor, coupled with 6GB RAM and 64GB internal memory. Keep in mind that some of the rumored specs may have changed since the Bluetooth documents show the phone has gone through no less than 9 hardware revisions. Just reveal it already ! And unfortunately with an equally high price. Hopefully blackberry learned their lesson with the first one and will price it accordingly next time. I disagree.... Even if BB or Chinese TCL lower the price, it still won't sell in large number. It seems BB brand is not as valuable as it seems. But, if BB or Chinese TCL raise the price, BB fans like a couple of them in here will buy it anyway just because it's BB. You're right. I don't think they have as much goodwill as they did back in the day. I think the brand name has lost value over the years. No doubt blackberry fans will eat it up, but for consumers the price would be too expensive for the specs. You would be paying for the name mostly. Can’t wait for the release of the successor to the incredible KEYᵒⁿᵉ. I’m expecting it to at least be every bit the battery and productivity champ that the KEYᵒⁿᵉ is. Definitely has my interest. Wil they ever make one like BB Priv model again tomorrow or in future?Probably never i guess so. Most BlackBerry fan prefer form factor like BlackBerry Bold, Passport, Classic, KEYone, etc. Is not because they just “talk about liking BB devices”. Do not take information about BlackBerry fan from non BlackBerry fan and person that only make comment to troll BlackBerry and BlackBerry fan. Pixel 3 ftw. Nothing tops the Pixel if you ask me. Let’s hope that Google doesn’t release the Pixel 3 with near as many bugs as the first two Pixels. But if you’re looking for awesome productivity, the best battery life and different form factor from the rest of the “me, too” pack, the KEY2 is the way to go, IMO. I hope Google addresses the mostly minor issues that plagued the Pixel 2 phones at launch and prevent similar issues from occurring with the Pixel 3 launch. The best that can be said is that they weren't anything related to the screen separating. When you pay the slightly higher price on the Pixel, you are getting very cutting edge specs with the best camera of any phone and you are getting the best version of Android instead of just paying for a brand name alone. To elaborate, The number of issues increased from the first Pixel to the second issue. How can anyone claim that the Pixel 2 is the best when it has a plethora of issues, with more mounting up with each “fix”? It’s definitely not worth the price with that many issues, with more popping up. But here’s hoping that they fix it, because the Huawei P20 Pro is currently the very best Android smartphone right now, and Google has some catching up to do. How can anyone claim the P20 Pro is the best when it's far from it is beyond me. Huawei had their best with the Nexus 6P. As for the Pixel 2 being the best phones, that's not conjecture. That's a fact that one could easily prove with just a Google search as it's stated by numerous different outlets including PA. Google has no catching up to do because they are already the best when it comes to Android updates and the best when it comes to making a cutting edge phone. Issues can happen with any phone much like the KeyONE. Sounds like you’ve been swimming in salt water again, judging by your comment, lol. The P20 Pro is currently the best Android smartphone out today, and no amount of fabrication from you will change that. It’s far superior to the Nexus 6P. It’s currently Huawei’s best smartphone. That’s a fact they can easily be proven with just a Google search, and it’s been stated by many other outlets. Google branded smartphones have plenty of catching up to do when it comes to hardware features and smartphones that have little to no bugs, lol. Not only has Google been beaten by the likes of Nokia and BlackBerry when it comes to the ever important monthly security updates, but they’ve been surpassed by Huawei when it comes to cutting edge features. Smartphones from manufacturers that you ridiculously hate on like the BlackBerry KEYᵒⁿᵉ have had less issues than the Pixel line of phones, so stop making excuses for Google. The ever growing issues with the Pixel line is inexcusable. if it still carries the touch buttons i'll pass!!! there is do meaningful upgrades over keyone! I will buy this on day one of availability. My next mobile phone.